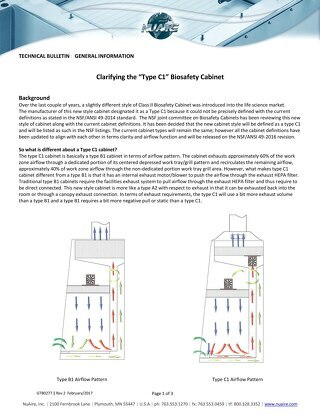 Proper technique when working within the BSC will minimize air turbulence and prevent splatter or unwanted spread of aerosols. These guidelines for good technique will maximize protection of personnel, product, and environment. The rapid movement of a worker's arms in a sweeping motion into and out of the cabinet will disrupt the air curtain and may compromise the partial barrier containment provided by the BSC. 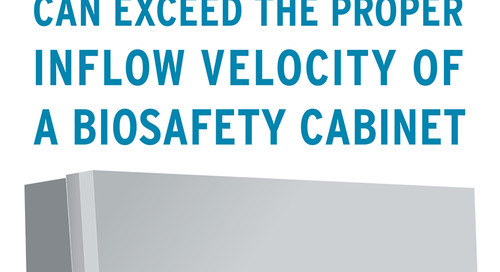 Moving arms in and out slowly, perpendicular to the face opening of the cabinet, will reduce this risk. 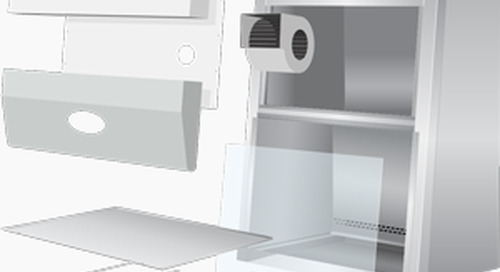 Other personnel activities in the room – like opening and closing doors – may also disrupt the cabinet air barrier. Many standard procedures may create splatter or aerosols. Proper microbiological techniques should always be used to minimize this potential. 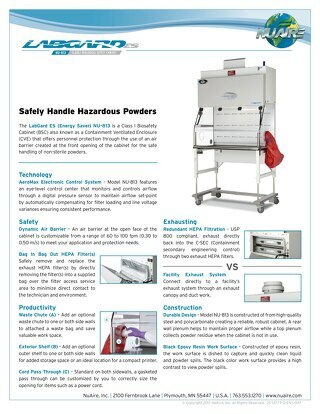 For example, methods to reduce splatter and aerosol generation will reduce the potential for personnel exposure to infectious materials manipulated within the cabinet. 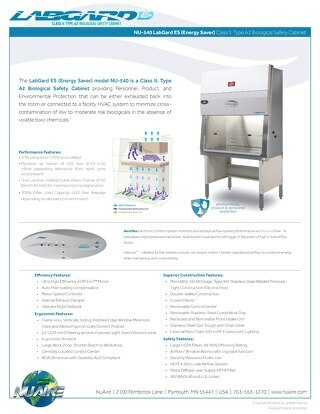 Class II cabinets are designed so that horizontally nebulized spores will be captured by the downward flowing cabinet air within fourteen inches of travel. Working with additional equipment within the cabinet should also be thought through carefully. The middle third of the work surface is the ideal area to be used. All operations should be performed at least 4 inches from the front grill on the work surface. 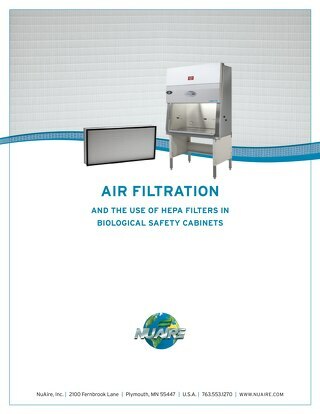 Materials or equipment placed inside the cabinet may disrupt the airflow, resulting in turbulence, possible cross-contamination, and breach of containment. 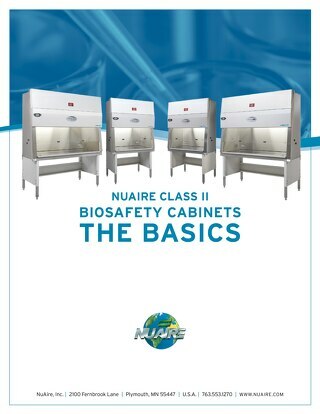 Bulky items such as biohazard bags, discarded pipette trays, and suction collection flasks should be placed to one side of the interior of the cabinet. 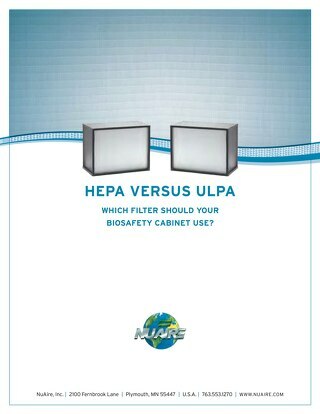 Most procedures should not require the use of a flame when combined with good aseptic technique and proper cabinet use. If a burner is required, use the on-demand type with electronic ignition. Since a burner will produce air turbulence, place it to the rear of the workspace.  Link to use of Bunsen burners document. All materials should be placed as far back in the cabinet as practical, toward the rear edge of the work surface and away from the front grille of the cabinet. 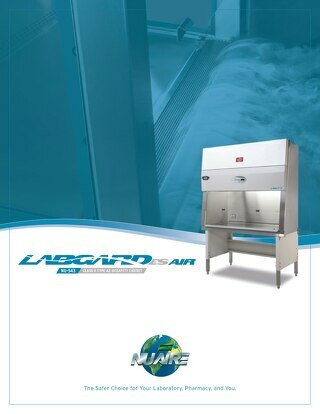 Similarly, aerosol-generating equipment such as vortex mixers or centrifuges should be placed toward the rear of the cabinet to take advantage of the air split. The prevention of cross-contamination is imperative when working with sensitive and potentially hazardous material. Opened tubes or bottles should not be held in a vertical position. Investigators working with Petri dishes and tissue culture plates should hold the lid above the open sterile surface to minimize direct impaction of downward air. 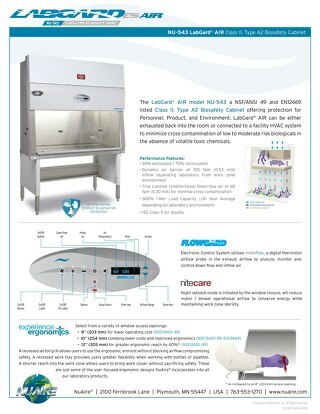 In almost all cases, open flames are not required in the near microbe-free environment of a Biological Safety Cabinet. On an open bench, flaming the neck of a culture vessel will create an upward air current, which prevents microorganisms from falling into the tube or flask. An open flame in a BSC, however, creates turbulence, which disrupts the pattern of air supplied to the work surface. 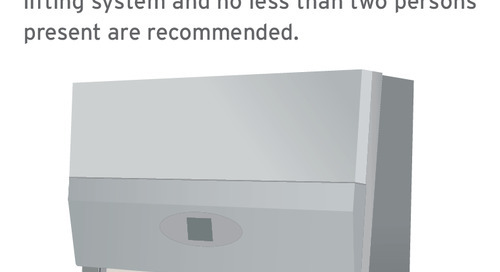 When deemed necessary, touch plate micro-burners equipped with a pilot light to provide a flame may be used. 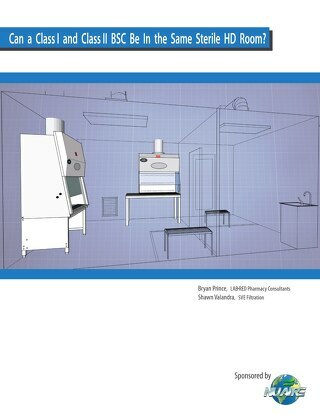 This will minimize internal cabinet air disturbance and heat buildup. The burner must be turned off when work is completed. 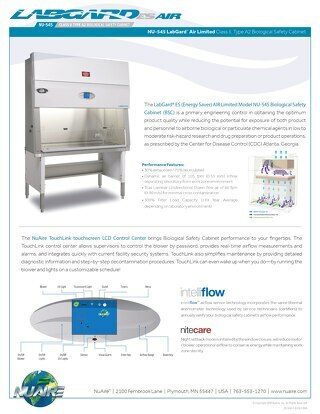 Small electric "furnaces" are available for decontaminating bacteriological loops and needles and are preferable to an open flame inside the BSC. Disposable sterile loops can also be used. Aspirator bottles or suction flasks should be connected to an overflow collection flask containing appropriate disinfectant, and to an in-line HEPA or equivalent filter. The left suction flask is used to collect the contaminated fluids into a suitable decontamination solution; the right flask serves as a fluid overflow collection vessel. A glass sparger in flask B minimizes splatter. An in-line HEPA filter is used to protect the vacuum system from aerosolized microorganisms or contaminated liquids. This combination will protect the central building vacuum system or vacuum pump, as well as to the personnel who service this equipment. Aspirated materials can be de-activated by placing sufficient chemical decontamination solution into the flask to kill the microorganisms as they are collected. Once de-activated occurs, liquid materials can be disposed of appropriately as noninfectious waste.